The coastline of southern Australia is recognised as a world-class wave energy resource. To see this resource exploited efficiently, the University of Adelaide has partnered with Carnegie Clean Energy Ltd. (CCE), who is one of the world’s most successful wave energy companies. This collaboration involves undergraduate and postgraduate students, early-career researchers and established leaders across the three Schools of Mechanical Engineering (MechEng), Computer Science (CompSci), and Mathematical Science (Maths). 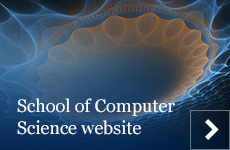 Over the years, nine students from CompSci have been involved, including both coursework and research students. Currently, four coursework students are involved via their capstone projects, which are part of their Honours and Masters degrees. The students explore the use of optimisation and machine learning approaches to optimise different aspects under realistic conditions and with respect to multiple conflicting objectives. The tackled challenges range from the power take-off optimisation of individual buoys to the placement of buoys when they are deployed in large scale wave farms. To support future joint activities, CCE and the interdisciplinary research team are preparing a joint funding proposal. The plan is to have the funding body and CCE jointly fund a full-time researcher and several PhD training positions, to provide a competitive advantage to Australia’s wave energy technology. This entry was posted in Computer Science, News, Student Activities. Bookmark the permalink.